Database Systems Corp. (DSC) provides call center technology including interactive voice response (IVR) solutions for businesses, contact centers and other organizations requiring automated call answering. DSC IVR solutions are both affordable and expandable. DSC provides IVR phone systems, software, development services and hosted IVR to businesses and community organizations alike. Our IVR solutions include a modern Windows PC with telecommunications boards and Dialogic IVR software from DSC. These highly adaptable and flexible phone systems can perform both inbound call distribution as well as outbound dialing campaigns. Besides offering these full featured IVR platforms and software solutions, DSC provides hosted IVR services at our secure and highly redundant call center. Contact DSC to learn more about our IVR solutions. 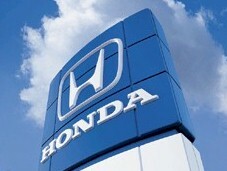 Honda Corporation uses our IVR solutions and IVR outsourcing services to answer incoming calls from its employees who are unable to report to work that day. A full IVR script prompts the employees to describe why they are unable to work and reports are provided to management immediately. Database Systems Corp. IVR phone systems provide many features for inbound and outbound call processing including our award winning call answering software. Features include our easy to use IVR software that leads you step by step through the development of custom phone applications. Our entry level phone is a 4 analog line IVR system called the WIZARD phone system. This IVR solution includes our simple setup program or comes optionally with our comprehensive IVR software development toolkit. If your calling center requires more lines, our PACER IVR solution can be used in environments where hundreds to thousands of digital phone lines are required. Database Systems Corp. is a leading IVR supplier whose IVR software is a simple development tool for creating interactive voice response solutions quickly and efficiently. Information is entered into our IVR control program and the phone applications can be operational in just minutes. Inbound phone surveys and informational phone applications can now be created and maintained in a simple and visual manner. Using our IVR design software, administrative staff can now maintain existing phone applications rather than expensive programming staff. Software created for our IVR systems is portable and can be transferred to any other WIZARD or PACER phone system. Thus the investment in your phone application is not lost as your organization grows from a small analog IVR phone system to the larger digital PACER series. Flexibility and growth - keys to business success. Contact DSC for a FREE analysis and quote and to learn more about IVR solutions from Database Systems Corp.